Generic Tobrex eye drops are an ophthalmic solution that is used to treat external bacterial infections of the eye. These eye drops contain the drug called tobramycin which is known to kill bacteria. This drug is also marketed as Eyebrex. Generic Tobrex eye drops is an antibiotic which means that it works against bacteria. More precisely, it is used to treat the bacterial infections of the eye. This antibiotic prevents translation of mRNA into protein and leads to cell death for the bacterium. Generic Tobrex should be kept in a cool place, away from moisture and light. If you notice any particles in the solution or if the applicator has been compromised, throw away the bottle and buy new Generic Tobrex online. Generic Tobrex has to be used exactly as instructed by the doctor. If you are wearing contact lenses, you will need to take them out of the affected eye where you will apply the eye drops. You should then wash your hands and pull down the lower eyelid of the affected eye. You should then squeeze out a single drop of Generic Tobrex in each of the treated eyes and press down on the corner of the eye. This prevents the drug going down the tear duct where it will be ruined. Wait for one or two minutes and then you can blink and remove the finger from your eye. You will need to use your Generic Tobrex eye drops for the duration of the entire treatment in order to be sure that the infection has been cleared. Use as much Generic Tobrex eye drops as your doctor instructs you to. Make sure to finish the regimen. If an overdose is suspected, seek emergency medical assistance. Signs may include: eye pain, blurred vision, eye watering, swelling and itching of the eyelid. Do not ingest Generic Tobrex. Only apply it to the affected eye. Do not let the applicator come into contact with your hands or the eye. 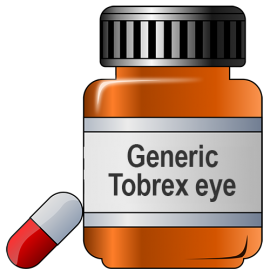 Your Generic Tobrex eye drops may interact with certain drugs and you need to make sure that your doctor has approved all of the medications that you intend to use at the same time as generic tobramycin. Using the eye drops may make your vision blurry. If your symptoms do not improve after a few days of using the drops, tell your doctor. Make sure that you complete the treatment. 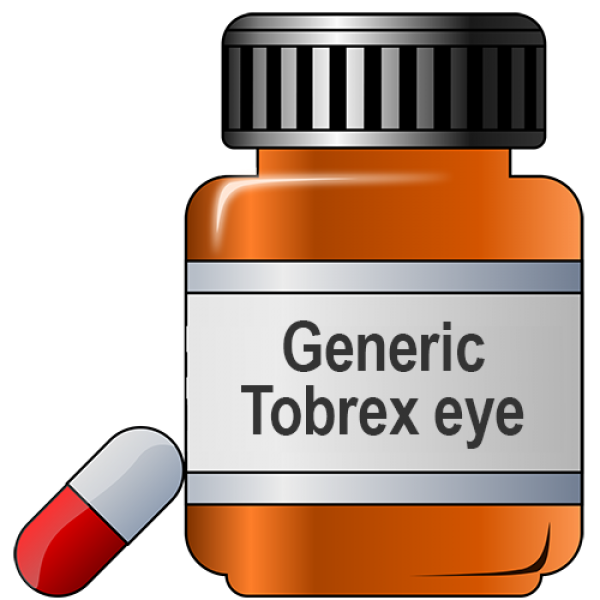 Mild side effects of Generic Tobrex may include: stinging or burning of the eye. Serious side effects include: severe allergic reactions, eye or eyelid swelling, redness or itching of the eye. These are not all of the possible side effects. Tobramycin is a specific antibiotic which is only used externally and which has been formulated in form of eye drops that you can use to treat your eye infections. Generic Tobrex is this medication and it is unprecedented when it comes to treating bacterial infections of the eye. Do not use Generic Tobrex if you are allergic to this antibiotic. You should always complete the entire regimen to ensure that the infection does not return.